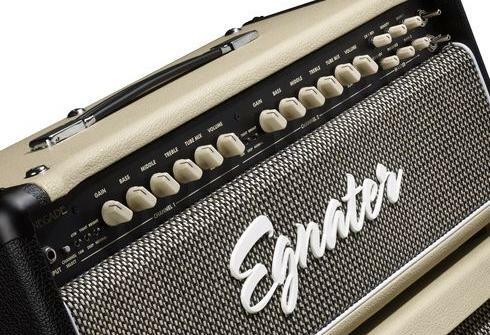 The Egnater TOL 50 is a two-channel, all tube 50-watt amplifier head powered with EL34 power tubes. Each channel is equipped with master and gain controls and switches for bright and boost. Channel 1 features a voicing switch for cleans and dirty rhythm tones. EQ controls include bass, mid, treble density and presence. The TOL 50 also features a power selector switch which runs the TOL 50 at either 50 or 100 watts. 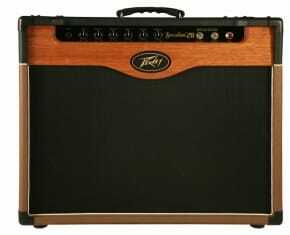 The TOL 50 was also available as a 1×12 and 2×12 combo amp. 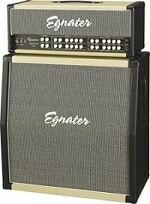 Rocktron/Egnater TOL 50 $1295. 10-watt or 50-watt. 1×12 combo version $1395, 2×12 $1495. Has 10-watt setting. Beside the main power switch is a standby switch with a special feature: you can select 50 or 10 Watt for output power. Has fx level/mix control, the latter being of dual duty also. Can switch between series and parallel effect modes. In the series position, the control functions as a master volume; in parallel it controls the effect volume. Send and return jacks. Slave Out jack. Recording Out jack; the direct signal from the output stage can be routed from here to mixer, separate effects units, or additional amps systems. A push-pull pot sets the signal level, between 0 and -15 dB. Has an internal and an external speaker jack with impedance selector. TOL = Tone Of Life. Rocktron – Egnater TOL 100 $1795. 10- or 100-watt tube 4-ch head MIDI. reverb. Ser/paraFX loop w/ level mixing. 10-watt power sw. 2×12 combo version $1995. *note: the Rocktron Egnater TOL 50 tube amplifier is no longer in production.